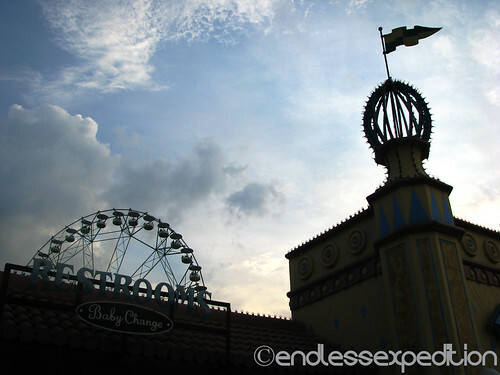 Enchanted Kingdom is currently the premier Theme Park in the Country. 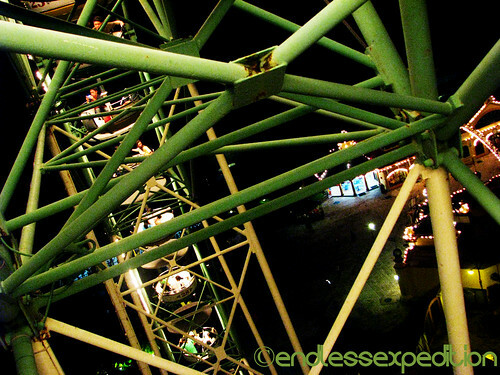 It has a number of rides and attractions to cater people who wish to experience the magic it gives. Located at the City of Santa Rosa, Laguna, it has several famous rides including the Rio Grande Rapids, Jungle Log Jam and the Space Shuttle. When you arrive at Walter Mart Santa Rosa, Take a tricycle ride that would directly take you to Enchanted Kingdom for only Php8.00. At the Midway Boardwalk where people flock to take some pictures with the stunning little shops and walkways. A Whole day's ride-all-you-can Ticket is available for Php400.00 for weekdays and Php500.00 every weekends and Holidays. 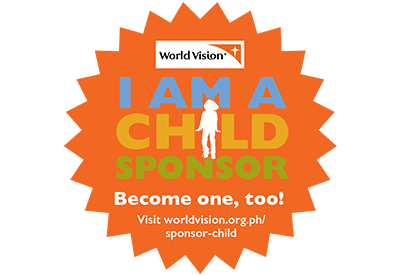 But if you are not into rides and you just want to walk around the park, you can purchase a Grand Carousel Ticket for only Php150.00 which gives you a full day's entrance to the park and enjoy the Grand Carousel at Victoria Park. 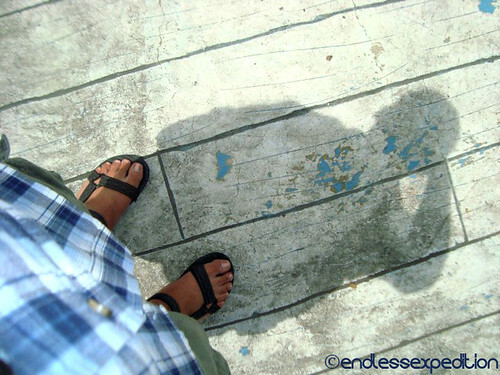 Me walking along the Midway Boardwalk at Noon. Some other rides at the Park includes the Anchor's Away, a rocking Viking Ship that goes up high, the Flying Fiesta, A swingaround ride, Roller Skaters, a small roller coaster for the weaker heart that cannot manage the Tall Mega Space Shuttle. The Flying Fiesta Glowing in the Afternoon. Another of the Buildings at Midway Boardwalk where you can see the height of the Wheel of Fate. 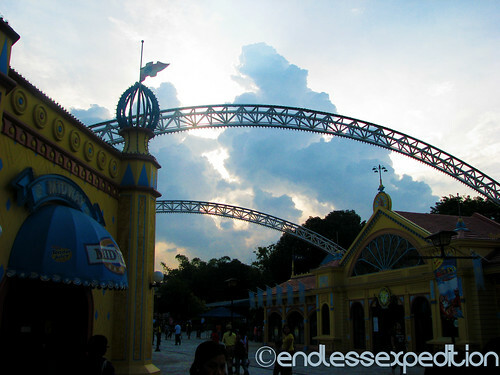 Enchanted Kingdom is truly where the Magic is! It is for Kids aged 2 - 92! Whatever you want, the park truly has something in store for you! But what more way to enjoy your day at the park but with your friends and family along! So what are you waiting for? 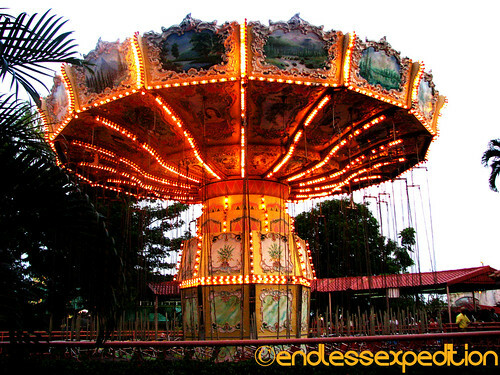 Come and see Enchanted Kingdom and surely, the Magic will stay with you!